I'm sure no one will be shocked to hear that Farm to School has been growing in popularity over the last few years. So much so, that a recent national Farm to School Census conducted by the USDA, showed that roughly 42% of all districts surveyed participate in farm to school activities. These programs include serving local foods in school meals, holding taste tests and food demonstrations showcasing local foods, and planning student field trips to farms or orchards. Another 16% of school districts surveyed plan to start farm to school activities in the future. It's great to see such a positive trend taking hold in schools all across the country. Farm to School activities increase access to nutritious high-quality foods, support the local economy, and help get your community more involved in your program. What types of Farm to School activities do you want to offer? How many local products would you like to feature on your school menus? Will you plan any taste test or food demo events? How might this program fit into your district's wellness policy or academic curriculum? Most importantly, start small and stick with what's feasible for you and your district. Meeting your objectives early on can help get further buy-in from all your key stakeholders. This definition can vary from district to district depending on the level of accessibility of local products. Knowing exactly what "local" means in your district, makes it easier to understand market availability, create solicitations, and keep a tally of local products. 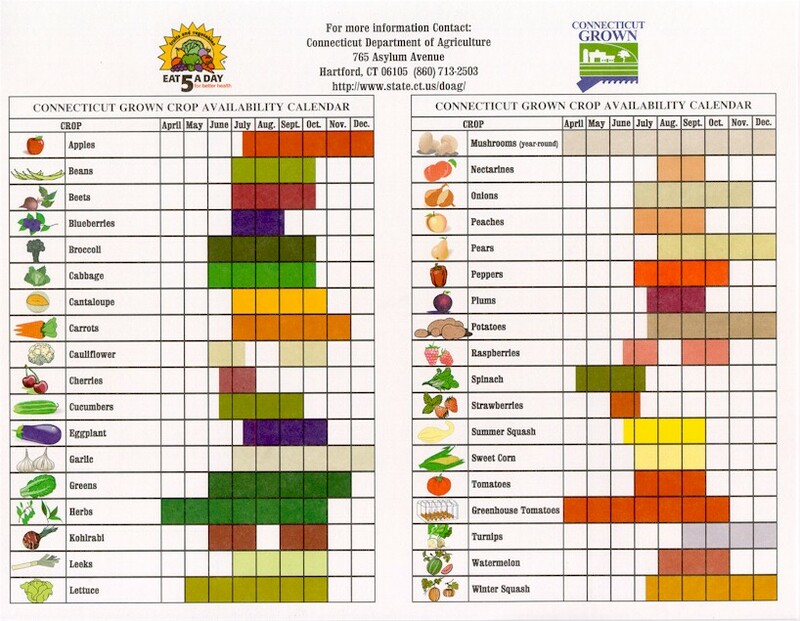 To get a good idea of what's available in your area, take a look at resources like local growing season charts, the USDA Census of Agriculture, producer associations, the Farm to School Census, Farm Service Agency (FSA) county offices, and cooperative extensions. Then, take a look at where you're currently sourcing your food products from. Are you already working with an existing wholesaler/distributor? If so, find out what local products are currently available. In many cases, this may be an easier than trying to work directly with local suppliers. Even though 'local' can't be used as a product specification in school food solicitations, there are many ways to purchase local products, while still adhering to federal, state, and local procurement rules. If your purchase falls below the small purchase threshold (federal threshold limit = $150,000), you can use the informal procurement process to target 3 or more local farms or vendors to get quotes from. NOTE: Make sure multiple vendors can still meet these specifications. If you're issuing a request for proposal (RFP), you can use evaluation criteria to weigh the importance of factors other than just the product itself (e.g. freshness vs price). RFPs using evaluation criteria must describe what those criteria are, how important they are, and how they will be used to assess each incoming proposal. The geographic preference option can also be used as an evaluation criteria to specifically procure unprocessed locally grown or raised products. Before you make any menu changes, pay close attention to your budget or time constraints. Ask yourself, will local products cost more, less, or the same as their non-local equivalents? Will these foods take more or less time to prepare? Forecasting is also critical to make sure you order just enough local products for each school site. Looking at production records and average daily participation in your Menu Planning and Point of Sale programs is a great place to start. Then, review your current menus to see if any of the products listed are already purchased locally, such as milk. Based on locally available products, what non-local items could you consider substituting (e.g. purchasing local apples instead of non-local bananas)? If needed, develop new recipes to feature locally produced foods. If you use cycle menus, consider modifying them for each season to take advantage of local products. 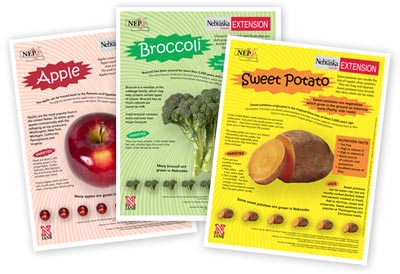 Check with your state agencies to see if they offer cycle menus that feature local foods. They may have already completed some of the hard work for you! Once you've settled on some menu changes, think about how you'll gauge student acceptance. Consider holding a taste-testing session. It's a great way to get kids involved in the process of determining what makes it on the menu. You can also analyze sales reports or conduct a plate-waste study after the recipe is made available to gain further insight. If you have a school garden, evaluate what measures need to be taken to ensure food that's grown and harvested is safe to eat. When working with local producers find out what safety procedures they have in place. You might also want to considering adding some safety specs into your solicitations to make sure they are held accountable. Keep good records for traceability. In the event of a recall or safety concern, you should be able to track where specific ingredients came from and who they were served to. Confirm with your district if they require producers to carry liability insurance. Now that you've laid the groundwork for a great Farm to School program, now you need to get the word out. Think about your entire school community and how to plan to work with and share in the success of this program. Educating students is an integral part of any successful Farm to School program. Work with teachers to integrate some food- and nutrition-centric lessons into the class curriculum. Some subjects such as science and health may be a good place to start. Consider field trips to local farms, food processing facilities, or your school garden so students can learn more about how food makes it to their lunch tray. Farmers or representatives from these places may also be able to speak to students, if field trips are not an option. You could also get your staff involved in putting together culinary activities that teach students about food preparation and cooking healthy food. Use these results to share your successes and make adjustments to your program's goals and overall strategy. Have you already implemented a Farm to School program? Help your fellow foodservice professionals and share your tips below!